Unit 5, Proof House Business Park, Andover Street, Birmingham B5 5RG. Opening Hours: 9.30am – 5.30pm Monday to Thursday; 9.30am – 5pm Friday; Closed lunchtime 12.30pm – 1.15pm; Customers welcome to drop cars off from 8am. I am very sorry but we will be closed for the week commencing Monday 15th April, until Tuesday 23rd April. I am sorry for any inconvenience this may cause. Our answer machine will be on, and we will call back upon our return, plus we can be contacted via email and will follow up on our return. To anyone else going away for half term or Easter: Happy Holidays!. 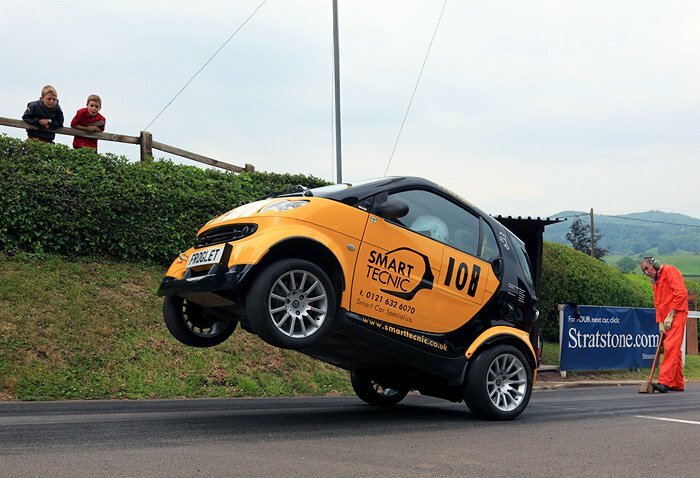 Smart-TECNIC are the leading smart car Specialists in Birmingham, the West Midlands, and beyond. We believe we know smart cars better than anyone else in central England, and we can take care of all maintenance aspects of smart ownership from basic servicing to engine rebuilds. The current (third) generation of 453 Fortwo and Forfour models. We are a Mercedes-Benz Star Partner which means we are able to complete the online Digital Service Book. The second generation 451 models from 2007-2014, the Fortwo petrol and diesel models. (We own one of these models ourself). The original first generation 1998-2007 450 models, City Coupe and Fortwo. (We own three of these between us and believe we might own the oldest Smart car in the country, built in July 1998, the first month of Smart car production. The 452 Roadster sports car models. We are very experienced with these, including the Brabus variants. (We also own one of these). The 454 2004-2006 Mitsubishi-based Smart Forfour. (At the time of writing we own three of these between us). We are VAT registered and can service and repair cars which are under manufacturers warranty. Please take a little time and have a look around our website. Please note that prices are updated fairly regularly and may not be up to date at all times. The best way to contact us by far is by telephone, and this will result in the quickest response. E-mails may take longer to get a reply as although we are all great with working on cars, sadly none of us are great at typing out lengthy replies. We make every effort to always give fully inclusive prices in our quotes and estimates, in other words prices given will include parts, labour and vat unless otherwise stated. Prices are correct at time of publishing but may have risen since. Please call us for an up-to-date quote or estimate. All quotes or estimates are for standard, unmodified and undamaged cars; extra work due to damage or modification may have to be charged for. Our preferred method of payment by is debit card, most cards are welcome but unfortunately we are unable to accept American Express. Due to bank charges we many not be able to accept large payments in cash. Search for Smart-TECNIC on Facebook! The home of Froglet, the 240bhp smart car. Some nice feedback from a happy customer, very gratefully received.